AstraZeneca Plc (LON:AZN) and MSD, Inc., Kenilworth, NJ, US (MSD: known as Merck & Co., Inc. inside the US and Canada) today announced that the US Food and Drug Administration (FDA) has granted Breakthrough Therapy Designation (BTD) for the MEK 1/2 inhibitor and potential new medicine selumetinib. This designation is for the treatment of paediatric patients aged three years and older with neurofibromatosis type 1 (NF1) symptomatic and/or progressive, inoperable plexiform neurofibromas (PN), a rare, incurable genetic condition. The BTD is based on Phase II data from the SPRINT trial, testing selumetinib as an oral monotherapy in paediatric patients, aged three years or older with inoperable NF1-related PN. The results of the trial were presented by the National Cancer Institute (NCI) at the 2018 American Society of Clinical Oncology Annual Meeting. This is the ninth BTD that AstraZeneca has received from the FDA since 2014. BTD is designed to expedite the development and regulatory review of medicines that are intended to treat a serious condition and that have shown encouraging early clinical results, which may demonstrate substantial improvement on a clinically-significant endpoint over available medicines. Selumetinib is a MEK 1/2 inhibitor and potential new medicine licensed by AstraZeneca from Array BioPharma Inc. in 2003. AstraZeneca and MSD entered a co-development and co-commercialisation agreement for selumetinib in 2017. The NF1 gene provides instructions for making a protein called neurofibromin, which negatively regulates the RAS/MAPK pathway, helping to control cell growth, differentiation and survival. Mutations in the NF1 gene may result in dysregulations in RAS/RAF/MEK/ERK signalling, which can cause cells to grow, divide and copy themselves in an uncontrolled manner, and may result in tumour growth. Selumetinib inhibits the MEK enzyme in this pathway, potentially leading to inhibition of tumour growth. Selumetinib is being assessed as a monotherapy and in combination with other treatments in ongoing trials. Neurofibromatosis type 1 (NF1) is an incurable genetic condition that affects one in 3,000 to 4,000 individuals.2,3 It is caused by a spontaneous or inherited mutation in the NF1 gene and is associated with many symptoms, including soft lumps on and under the skin (cutaneous neurofibromas), skin pigmentation (so-called ‘cafe au lait’ spots) and, in 20-50% of patients, tumours develop on the nerve sheaths (plexiform neurofibromas). These plexiform neurofibromas can cause clinical issues such as pain, motor dysfunction, airway dysfunction, bowel/bladder dysfunction and disfigurement as well as having the potential to transform into malignant peripheral nerve sheath tumours (MPNST). In July 2017, AstraZeneca and Merck & Co., Inc., Kenilworth, NJ, US, known as MSD outside the United States and Canada, announced a global strategic oncology collaboration to co-develop and co-commercialise Lynparza (olaparib), the world’s first PARP inhibitor and potential new medicine selumetinib, a MEK inhibitor, for multiple cancer types. Working together, the companies will develop Lynparza and selumetinib in combination with other potential new medicines and as monotherapies. Independently, the companies will develop Lynparza and selumetinib in combination with their respective PD-L1 and PD-1 medicines. 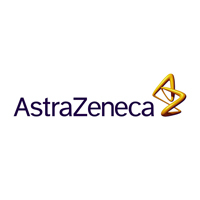 AstraZeneca is a global, science-led biopharmaceutical company that focuses on the discovery, development and commercialisation of prescription medicines, primarily for the treatment of diseases in three therapy areas – Oncology, Cardiovascular, Renal & Metabolism and Respiratory. AstraZeneca operates in over 100 countries and its innovative medicines are used by millions of patients worldwide. Click AZN for the full archive.